If I am being completely honest, I did not feel like I was on my library game at all last year. I thought I had reached my peak and was now on the downhill slide to becoming one of those "old" librarians that has no new ideas. I wasn't able to conjure the spark and innovation that I had previously brought to my job. I still loved being a librarian but I was definitely having an off year and I was beating myself up. I couldn't figure out what had brought on this sudden decline in my exuberance for librarianship. *Could it have been that my assistant broke her ankle the 3rd week of school and not having her there to run the library and keep me sane threw me off kilter for the rest of the year? *Could it have been that I had a senior in high school getting ready to spread his wings and attend college 7 hours away? Was I subconsciously worrying about losing him and not able to focus on my work? *Could it have been that the year before I had taken on too many responsibilities at the district level and had lost touch with my students? Who knew? I just knew that I felt like I was in the toilet of librarianship. Then one night last week, in the middle of the night, after we had moved the college bound son to Oklahoma Sate and he was settled into his dorm. 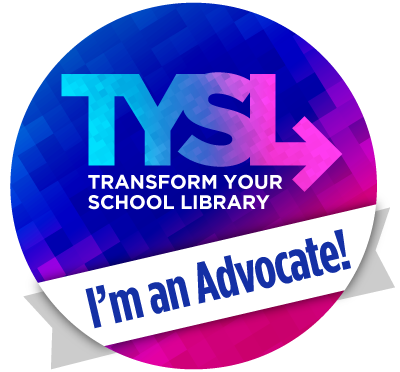 I realized that I was heading into my 14th year as a librarian... which meant that last year was my 13th year. I was suffering from the unlucky 13th year! So I am happy to say that the curse is over. I have found my stride. Thanks!! It’s going to be a great year!